OUTSIDE:(downstairs) there is a utility room with washing machine, shower room, undercover area with Kitchen/BBQ, private swimming pool for sole use and private shower room. 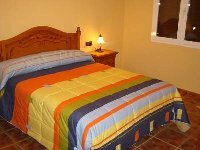 The Villa is ideal for a large family or two families that require their individual privacy. 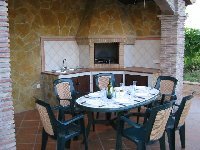 You may hire the whole villa, the downstairs only or the upstairs only. If you stay in one then the other will not be rented to any other party. 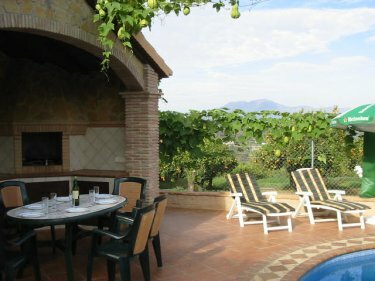 During the summer months we charge for the whole villa (sleeps 10). During the summer months the change over day is preferred on a Saturday. Other months can be flexible. �Large Pool towels are also provided�. Very large and comfortable Living/Dining room with Satellite TV, Security entry phone, Air-conditioning, leading onto very large patio with outside Kitchen/BBQ, table and chairs and private swimming pool with summer furniture. 1 separate and large fully fitted Kitchen, Dishwasher, fridge-freezer, microwave, Hob & Oven. Hot & Cold Air-conditioning, Satellite TV, DVD, microwave, Toaster, Kettle, Iron & Ironing board and lots more. Private Terrace with table, chairs and sun-loungers. Great views of local orchards and mountains. 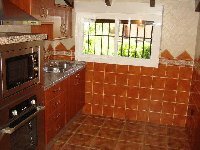 Hot & Cold Air-conditioning, Satellite TV, microwave, Toaster, Kettle, Iron & Ironing board and lots more. There is a large patio terrace for outdoor entertainment and relaxation with table and chairs, Kitchen/BBQ undercover, Summer furniture, Sun-loungers, Private Swimming pool with Roman steps and a private shower room with sink, toilet and shower. 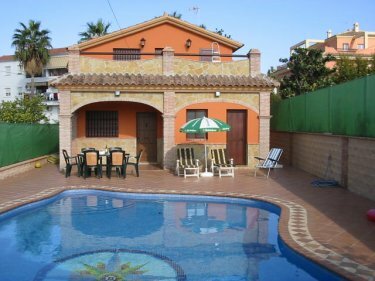 EL PARRAL is within easy reach of the Costa del Sol with its many golf courses, beaches and night life. Marbella, Ronda, Malaga and Fuengirola cities are all close by. Granada, Cordoda and Sevilla are now within easy reach with the much improved road systems. This is the ideal place for either a relaxing holiday lounging round the pool or an activity holiday. This area is also well known for Mountain Walks, Cycling, or Horse Riding, with stables that cater for the beginner and the professional. 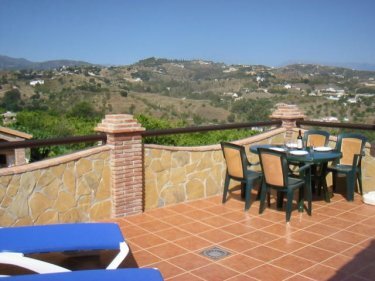 The Beach & Malaga Airport are a 30-minutes drive. For the golfer there are many courses to choose from. The local ones are Alhauring golf which was designed by Severiano Ballesteros and is 10 minutes by car and Lauro golf which is about 15 minutes. The two golf courses at La Cala are the main attraction of the resort. Both, La Cala North (Par 73) and La Cala South (Par 72) have been designed by North American architect Cabell B. Robinson. La Cala Resort is an exclusive residential and recreational complex of approximately 1,000 acres situated between the 'Sierra de Mijas' National Park and the Mediterranean. The Sierra Nevada is a 2.1/2 hours drive where it is possible to ski and snowboard. In the unlikely event that we have to cancel your booking, every effort will be made to offer you an alternative accommodation, or refund all monies paid. There are no refunds should you cancel your holiday for whatever reason that may be. "IF YOU ARE BOOKING 2 WEEKS PLEASE DEDUCT 10% OF THE TOTAL PRICE SHOWN". 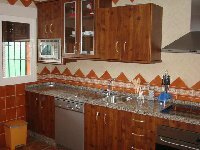 Ecept for high season you may also rent the 3 bedroom accomodation downstairs, which sleeps 6 at a lower rental rate. The upstairs accommodation, which sleeps 4 (+ baby in a cot) will not be rented to any other party while you are there. 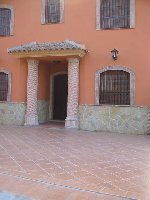 The balance is payable in Cash-Euros on arrival at the property. A returnable security deposit of 200� or 150GBP will also be taken on arrival.